Joan Bakewell has said she senses great anxiety in the artistic community over the uncertainty of Brexit. The Labour peer, 85, praised the young for their resilience in the face of Britain’s departure from the European Union. Baroness Bakewell, who fronts a Sky Arts series on art in the post-Brexit landscape, also suggested times of upheaval could help artists find rich veins of creativity. She said: “I sense a great sense of anxiety about where we might be going. The young people are always very resilient, so they take a very positive view. “Some of them take a very humorous view as to where we might be going. “I certainly think the idea we are going through major change always throws people off balance. “Very often it also throws up very good opportunities to writers and so on. People are very proud of where they come from. Alongside Stephen Mangan, she presents Art 50, an ambitious four-part series on Sky Arts that showcases 50 works exploring what being British means in 2019 on the two-year anniversary of the triggering of Article 50. 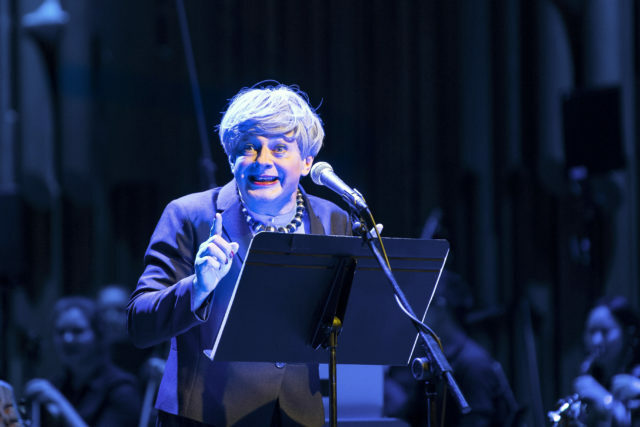 It includes works by the poet Simon Armitage and the playwright John Godber among others, as well as a production entitled The Last Temptation Of Boris Johnson. She said the series was not about Brexit but about Britain in the context of it, adding the knowledge Brexit is happening “lurks in the background” of all the pieces. Baroness Bakewell suggested art was as important now as ever given its ability to comfort in times of conflict. She said: “People take great comfort from the arts. They enjoy beauty and they enjoy the good look of something. “They enjoy paintings, the galleries are full of people. They enjoy films that are very often on topical subjects, about the anxieties in people’s lives. “The arts will always be important. It doesn’t necessarily mean going to the theatre and paying lots of money for a ticket. It means being aware of the world around them. Art 50 airs on Sky Arts every night between Monday March 25 and Thursday March 28 at 9pm.